In the fall of 1993, I spent a sabbatical leave in Ceara, in the Brazilian Northeast, researching the subject of droughts.1, 2 At that time, the region was suffering from a crippling three-year drought. 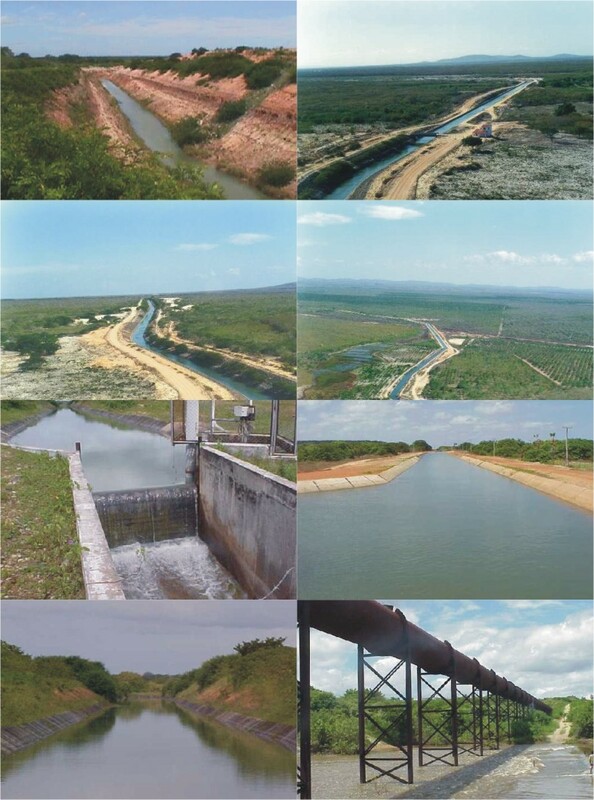 Emergency plans were under way to transfer water from the Orós reservoir in the backlands, through the Jaguaribe river to the coast, and through a specially made canal, into the [almost empty at the time] Pacajus reservoir, located within reach of the city of Fortaleza. The latter is home to a major population center in the region, with close to two million people. The "Canal do Trabalhador" ("The Worker's Channel") was being built expressely for the water transfer.3 At the time, the canal project was regarded as a last ditch effort to mitigate the ravages of the drought. The alignment followed roughly along the coast of the state of Ceara, a distance of about 100 km. The construction of the canal was particularly difficult due to the unstable soils and the very mild slope of the canal (about 5 cm per km), which increases the risk of sedimentation. Completed in a record period of six months, the canal started delivering the much needed water near the end of 1993. However, less than two months later, a series of heavy storms filled the Pacajus reservoir, bringing to an end the long drought, and rendering the Worker's Channel essentially unnecessary. Currently, the canal is not being used for its original purpose, but rather to supply irrigation projects along its alignment. Thus, the lesson to be learned is: "Weather prediction is difficult and failure prone." 1 Ponce, V. M. 1995. Management of droughts and floods in the semiarid Brazilian Northeast: The case for conservation. Journal of Soil and Water Conservation, September-October, Vol. 50, No. 5, 422-431. 2 Ponce, V. M. 2000. Characterization of droughts across climatic spectrum. Journal of Hydrologic Engineering, Vol. 5, No. 2, April, 222-224. 3 Ponce, V. M. 2004. "The Worker's Channel." Legacy tale, May. The "Canal do Trabalhador," or Worker's Channel, in Ceara, Brazil.